There are a lot of interstate removals companies out there. However, with so many of them offering moving services, you will be having a hard time of getting a company that will deliver a really great removal service for you. By following some simple guidelines, you could get a good interstate removals Free Quote in no time. The first thing that you have to think about is where you are moving to and how far it is from your present location. There are several companies that only cater local moves, while there are companies that will go for both local and interstate removals offering Free Quote. If you will be moving locally, you could try and hit the yellow pages under “local moving” or “local trucking services” sections, or “interstate moving” or “interstate trucking services” if you are going to another state. You could also try online and dig out your favorite search engine. If you have a relative, a close friend or a colleague that has recently moved out to another state, you could try to get a referral from them. It is a good idea that you seek advice from somebody that you know you could trust, especially if he or she actually hired the company that helped him move out. Also, you could ask them about some things regarding the proper preparation before moving. Once you have made a lost of the companies that you think will provide you with the removal service that you want, go for a background check on each of these companies. A good practice is to read online reviews and recommendations from their previous clients. You could find most of these at forums and blogs. After you have read all the necessary information and some reviews, you would have possibly narrowed down your list. Start calling the ones who are left and get quotes or cost estimates. 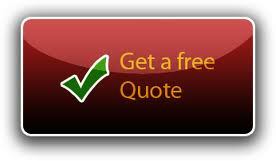 You might as well find interstate removals free online quote in the Internet, which is really convenient on your side. Weigh all things up, and get the moving company that you think can provide you with a quality service for an affordable price.